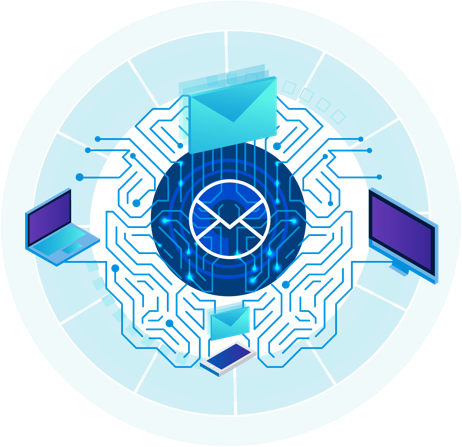 Cloud Email security powered by artificial intelligence Sophos Email is cloud email security simply delivered through Sophos Central's easy-to-use single management console. Protecting your people from unwanted and malicious email threats today, and tomorrow, with the latest artificial intelligence. Today's email threats move fast, and malicious files look more and more like benign files. Growing businesses need predictive email security - defeating today's threats with an eye on tomorrow. 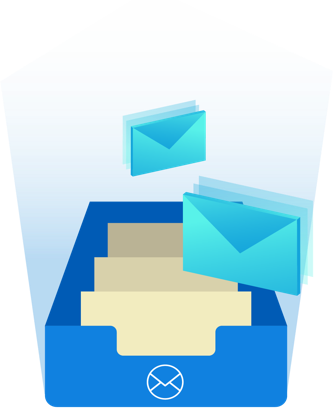 Using the same technology as our award-winning Intercept X, the artificial intelligence built into Sophos Email's Sandstorm sandboxing technology is a deep learning neural network, able to detect suspicious payloads containing threats, malware and unwanted applications, as well as high-level threats embedded in documents, including ransomware. Sophos Sandstorm detonates these files in series of virtual machines, simulating a real end user environment where behavior can be monitored. Delivering safe documents - not just PDFs. Protecting employees from malicious website links, our advanced URL protection is out-smarting attackers who slip phishing URLs past traditional gateways - delaying the upload of malware to websites until after the email is delivered. Sophos Time-ofClick checks website reputation before delivery and at the time you click - blocking stealthy, delayed attacks. 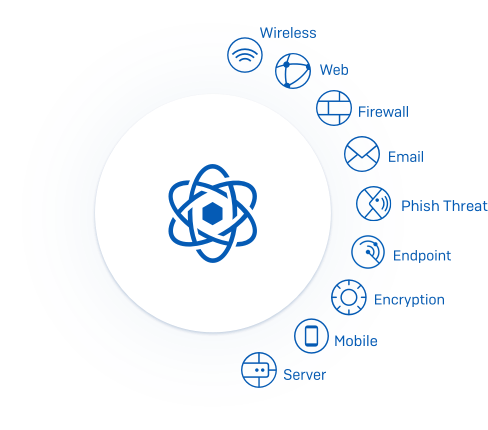 Attackers relentlessly target organizations with spam, phishing, and advanced socially engineered attacks. Automate phishing imposter defense with Sophos Email authentication. Protecting your employees from phishing attacks using fraudulent email addresses that impersonate trusted contacts and domains, before they reach the inbox. 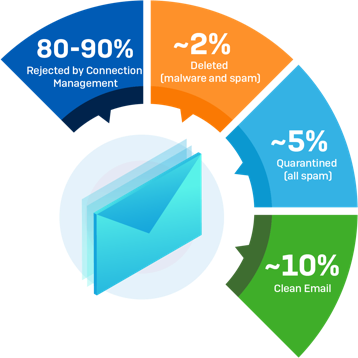 Using a combination of SPF, DKIM and DMARC authentication techniques and email header analysis, Sophos Email allows you to identify and allow legitimate emails from trusted partners, and block the imposter - allowing you to trust your inbox again. Sophos Email was born to be flexible. Creating unique security policies for individuals, groups or the whole domain can be done in minutes - saving you valuable time. While seamless integration with Microsoft Office 365, Google G Suite, on-premises Exchange 2003+, and many more email providers, allows you to protect any email service where you control the domain and DNS records. Best of all - activation is completely in your control, with administrator controls and end-user self-service for common day-to-day tasks. 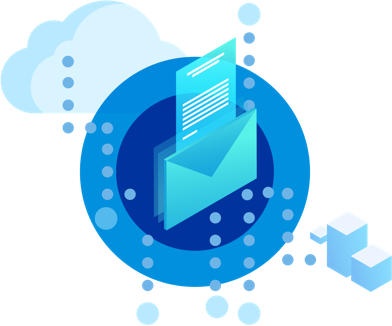 Deployment requires a simple MX record change to route email through Sophos Central, and you can simply bring in users and their mailboxes with our handy Azure and on premise Active Directory synchronization tools. Priced per user with bands from 5 to 5000+, Sophos Email keeps things simple so you can focus on protecting your business, data and employees. Includes: Cloud email security and advanced threat protection. Featuring cloud sandboxing and advanced URL protection, to block known and unknown malware and applications. Combined with inbound and outbound email scanning, multi-policy support (user, group and domain), and inbound SPF, DKIM and DMARC to authenticate senders and block spam and phishing attacks.